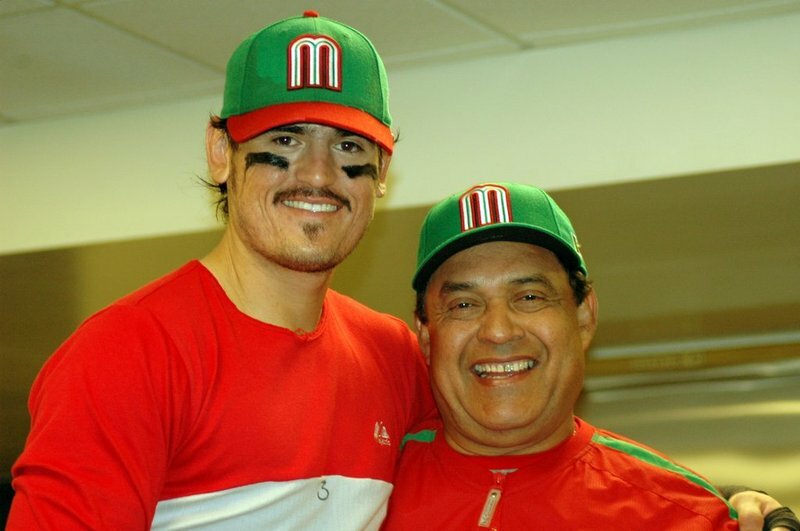 The official blog of Devil Rays infielder Jorge Cantu, who has been blogging since the first World Baseball Classic. Leave your comments and follow along! I just hosted my family here for the past couple of weeks and we had a great time. Who all was here? My Mom, my Dad, my two brothers, my Dad’s cousin from Monterey. My uncle, my aunt, their four kids, another cousin of my Dad’s with their four kids, my grandfather’s sister was here, the only sister left. She was here and I was so happy she was here. All together there was about 25 people. Some stayed at the Don Cesar hotel and some of them went to Orlando. Having them around really means a lot. Particularly during tough times, a tough streak. When you’ve got all kind of things in your head. When you leave the stadium and you see your family, personally, me, my mind just changes when I get home. I don’t take baseball home with me. So every day while I was in that slump, I’d come to the field not even thinking about how bad I was doing. I’m just ready to play that day. Whatever happens, happens. When I went 0-for-4, I see my family, I come back and I’m a different person, I’m not upset, I’m not mad. I felt like I know I gave my best. Over the All-Star break I didn’t have to go to Mexico. Mexico was here with me in Tampa. I had a great time and they get to see how great the team is doing and how well I’m doing, even though I’m down a little bit right now. I had their support. It just can’t get any better than that. And of course I got some home cooking. Every morning, I had my eggs. A Mexican dish where dried meat is mixed in with scrambled eggs and a lot of salsa. That’s a lot of love from my Mom. Every morning, my Mom would drive to my appartment and then go back to the Don Cesar. And my Dad, he’s the kind of person, he doesn’t care where he is, he just wanted to spend time with me and I truly appreciate that. He’d spend the night at my place and we’d talk and talk and talk. And that’s why he’s a big part of it. He always gets me in the right direction. In the right spot. Every step of the way he’s always been there and I’m so grateful for that. This is posted before gametime on Jorge’s behalf by MLB.com. Sometimes you just get that thing at a ballpark where you don’t feel comfortable, and I think that was the case over the weekend at Citizens Bank Park. It’s going to haunt you a little bit then probably the second time around you’ll come around a little bit. The whole weekend I didn’t feel great. Still, it’s very exciting to have the lineup back like this. It was supposed to be like this since Opening Day — which is when I was lunging for the ball in that AP picture above. Everybody is excited and wants to keep this thing going. To just build this winning atmosphere around us. I feel like we are on the brink of really becoming a winning team, and I feel that way when one gets it started. Julio Lugo gets on and the rest of the team follows. I’m just so glad to be a part of it right now and not to have any more injuries. 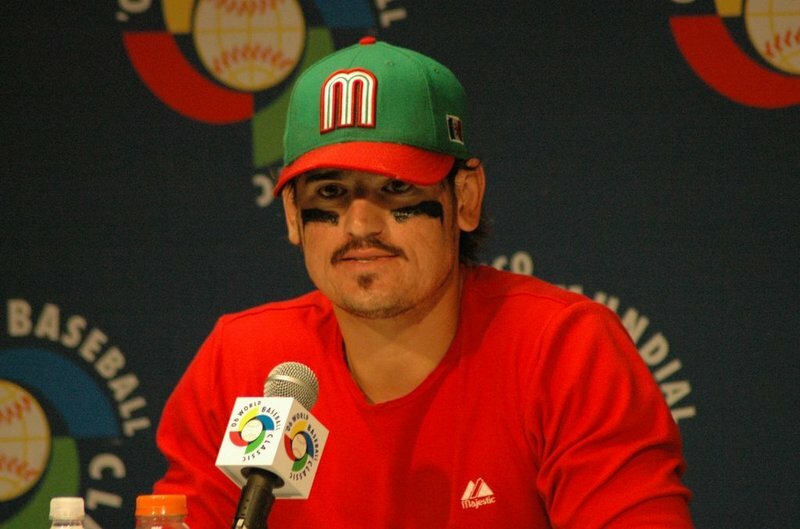 Naturally, I am following Team Mexico in the World Cup. We lost today, but we’re still in the second round. We’re going against Argentina and the Netherlands. To my fans, just a big hello. I’m reading everything and I’ll try to write back when I have time. Posted courtesy of MLB.com as we start this Tigers series. I returned to the lineup since my last post, and things are coming along. My swing is coming along. I’m just another bat in the lineup. Rocco is back, too. Now that we’ve got the lineup back together, I think we’re going to keep producing just like we did in Kansas City. I’m just so happy to be back. And I think we’re going to keep finding a way to win. It’s good that everything seems to be coming together on the team. Our pitching has been tremendous lately. And the best part is, everybody is having fun. If we keep doing that we’re going to win a lot of games. 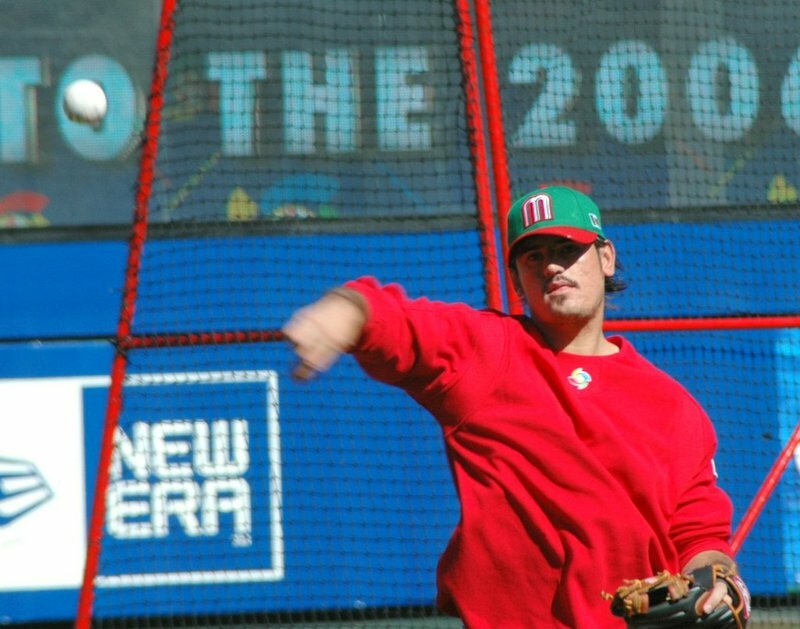 I also have to say something about Mexico winning its first World Cup game on Sunday, since I spent so much time here blogging about playing for Mexico during our run at the World Baseball Classic. I’m pulling for them every day. Yesterday, everyone saw me celebrating the first goal. I stretched that day and then saw the end of the game. Mexico’s next game is Friday against Angola. Anyway, so far so good, and hopefully my fans will keep writing. Here are a couple of AP photos below worth mentioning. 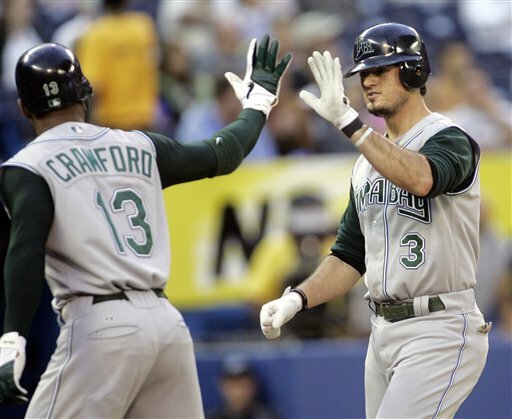 The first one is me meeting our new first-round Draft pick, Evan Longoria. 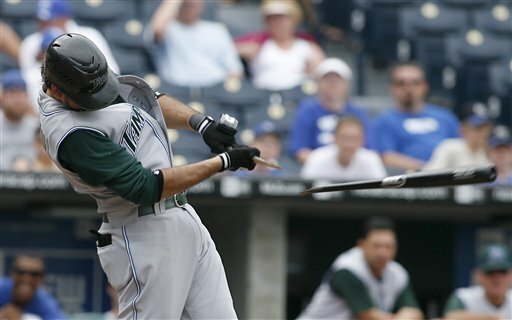 The photo below is me breaking a bat. That was in the ninth inning on Saturday, and even though I’m only holding a bat handle, the ball made it to left field for my fourth hit that day. Everything feels great, 100 percent. It’s great to be back. No pain, no soreness. That’s the most important thing. We played it safe with the injury. We waited and it was worth it. I’m just happy to be back with the team. While on my rehab stint at Montgomery, I was finding my timing, taking one strike or two strikes an at-bat just so I could get that feeling back. Timing and everything. It went pretty good. When I was down there, I had deja vu about what it was like to be in the Minors. That made me work even harder to get here. It was also a chance to spend time with players on that team and talk to them. Some of them asked and I’d tell them what I went through to get here. And that’s understandable. I’ve been getting a lot of emails from the fans on my MLBlog here, and I appreciate every single one of them. Until next time . . .
I’m anxious to get back, to play with my teammates. We have a good team and I miss being a part of it. I have a lot of frustration and everything, but it takes time to heal. The doctor told me that, so I’m trying to be positive. We’re talking about me playing again after the next road trip. June 1, the first game back after the road trip, that’s when I’m supposed to be ready to go. We’re taking it little by little right now. I feel way better, this week from last week. I’m still bored because I have nothing to do but stay at home. They just told me to go home and relax and stay off my foot. But mentally I’m trying to be ready. Like I haven’t missed anything. Working in the cage at the Minor League complex for my timing. It’s working. I’m getting to the point where it’s 5 or 5:30 in the afternoon and I want to go to sleep so bad it can’t go fast enough. So I’m in the habit of taking naps now. This has been pretty much the hardest period of my professional career. But it’s going to happen once in a while. You ‘ve got to get used to it and get your mind right. I’ve been talking to my mom and dad every night. Well. That fracture thing, it’s still lingering there. It’s still bothering me. It’s still sore. Walking. It’s going to take a while. Probably three more weeks. I’m taking batting practice, there’s not that much pressure on it. Rehab is going great. I do it at home too, with a machine that I got from these guys at night. So it’s just frustrating for me a little bit. I have to deal with it, that’s the worst thing. I sit in my house or my appartment and I don’t know what to do. I try to stay off my foot as long as possible. And I’m pretty much miserable right now. Watching all my teammates. The team developing a winning attitude and everything. I want to be a part of it and I just feel left out a little bit. This is my first time on the DL in the Major Leagues. I was on the DL once, in the Minor Leagues, when I twisted my left foot. Just don’t panic. Stay out there, stay in touch and I’ll get back on the field and pick up where I left off. My foot is getting better every day. It’s a real deep bone bruise, but I’m going to be out there giving 100 percent. It hurts, because it’s a really big bruise and it’s going to take a while to heal. The time frame they said was four to six weeks. But when I’m out there I try not to think about it. I give it all out there. The foot doesn’t really hurt wearing street shoes. To do normal activities, not really. But when I put my spikes on, push it a little bit, rounding the bases a little bit, turning on the inside pitch, a little bit, that little stuff. But I have to overcome it. I have to stay positive and go out and try to win every day. Every day I have treatment. In the morning, which I do personally, I have a little ultrasound thing. Everything is just coming around. It’s not getting worse, it’s not getting better. I can manage the pain. It’s just mental. I try not to think about it. It feels good. They have a great lineup, a great pitching staff, too. But we’re not playing bad at all. We played well against them last year, and now we have to start over again; not take anything for granted; one out at a time. Our pitchers feel the same way, and our batters are just doing their jobs. Everybody on this team I think is just ready to take anybody on. Our great coaching staff is doing a tremendous job with us. Keeping us staying positive and moving forward. No matter who is out there we do our best. Right now it’s not about records, it’s April, still. That would be so nice. 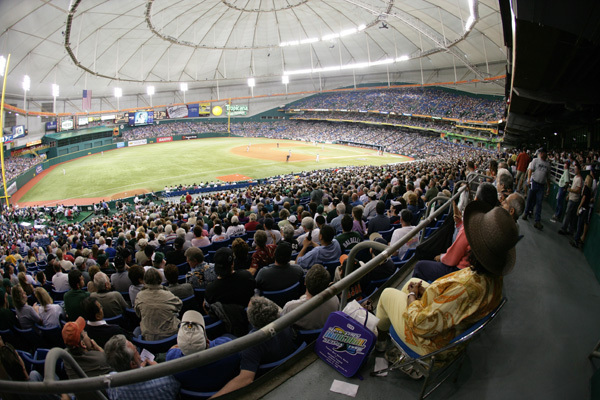 I really think that we need to win to have these big crowds back in Tampa. And I really want to know that our people back home are really following us right now. And if they can pack it every day, that will mean special stuff for us. Makes us more hungry to go out there and bust our butts every day. Give it all we got. I think with those crowds, everybody is going to be excited to play. Just pretty much been getting my mindset for the season. I got off to a little slow start and then I had the foot injury. My mind was really focusing on the foot getting better. But right now everything is feeling all right. I just want to have that feeling of having the same season as last year, putting it together the same or better. At least one point better than last year. That’s pretty much it. Make sure my mind is straight for the season. It’s very exciting. We’re putting everything together. Everybody is doing what they’re supposed to do. And we’re having a lot of fun. Our offense, our defense, our pitching. Everything is going well. We’ve got a tremendous group here, it’s going to be something special. It will be a tough road trip, but we’re going to try and get the best of them. We’re going to go out there and actually just play the way we’ve been playing since the beginning of the season. Don’t back off. Play hard, pitch hard, swing hard. And whatever the results are we’re going to be satisfied because everybody wants to win here. Fans stay in touch, because I’ll be in touch with you about your comments and questions. Keep posting comments. I’ll try to reply back all I can. special experience. What we did tonight was for Mexico and nothing else. best baseball countries in the world. and work hard to head into that direction. hungrier to raise my game to a higher level for all of you. starts I may keep this going. Thank you again for sharing this amazing experience with me. some friends. I needed the break. up to me the way they do to those two great players. 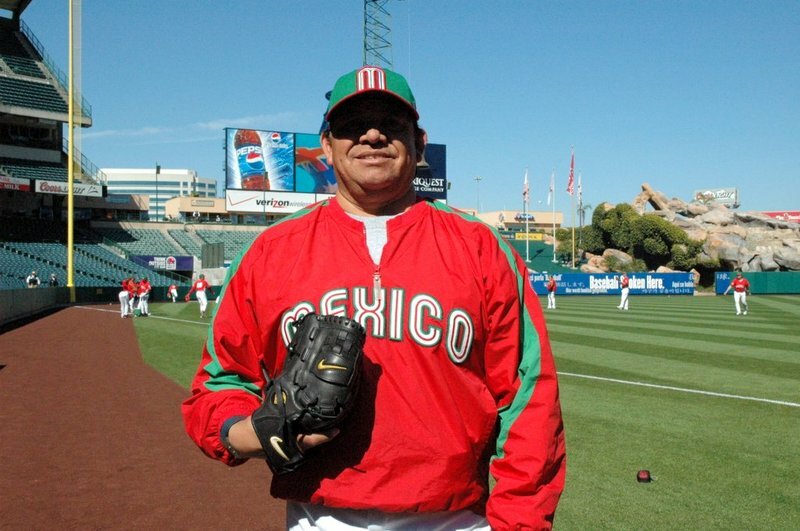 time we’re playing some good baseball with the Mexican team. get ready for our game today. I’ll have a few more thoughts later on.